New Street Realty is excited to introduce the largest penthouse suite at the Citygate One condominium directly across the street from Square One Mall on Burnhamthorpe and Duke of York blvd. This 1577 sqft two-story loft layout is livable and spacious. the main floor consists of a large living and dining area as well as a connected kitchenette, breakfast bar and kitchen with new Jennair stainless steel appliances. The interiors of this condominium have been upgraded with highest quality materials including, limestone floors in the kitchen, maple cabinetry, granite floors in the upstairs bedrooms, marble and granite tiles in the 2 en-suite bathrooms. Watch the feature video to explore more and call Kris to schedule a private showing at Penthouse 7. WHAT'S UP IN SQUARE ONE? 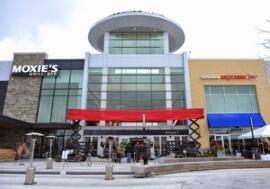 The Square One Community, more officially known as City Centre in Mississauga, is home to dozens of shops, restaurants, bars, parks, schools and many other community amenities. 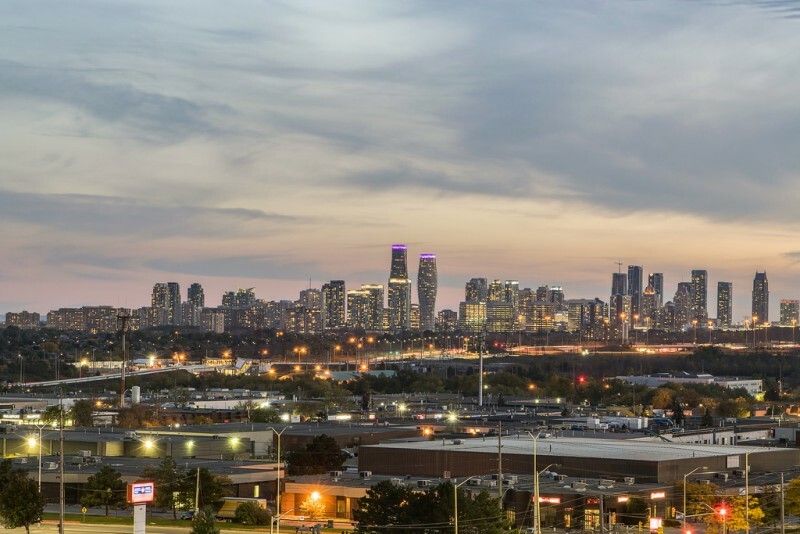 Over the last decade of living in this area, I have seen the heart of Mississauga transform. 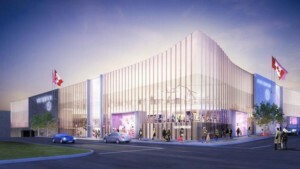 With the addition of the Sheridan College campus, the more recent expansion of the mall, the development of dozens of new condos and most notably, the addition of the Celebration Square. This has brought the community together for hundreds of amazing events over the last few years. The lifestyle that this thriving community offers, appeals to a diverse group of folks. 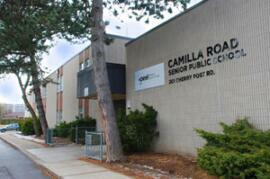 People of all walks of life come together here; from students, young professionals, couples, families to seniors. The endless opportunities of prosperity, leisure and enjoyment creates a positive energy that is felt throughout the streets, shops and halls. The Square One area, truly is a remarkable place that plays a central role in the makeup of one of Canada’s greatest cities. Located at 100 City Centre Drive, the Square One Shopping Centre is a staple of Mississauga and has been since 1973 when it opened. 1.8 million square feet (approximately 30 football fields) of retail space makes Square One the largest shopping centre in Ontario and the second largest in Canada. The mall is owned by Oxford Properties Group and consists of 360 stores and services including Hudson’s Bay, Holt Renfrew, Simons, Walmart, Cineplex Entertainment, Whole Foods, Crate & Barrel, Apple Store, Earl’s, Topshop, Topman, Harry Rosen, Forever 21, H&M, Gap Inc., Sephora, Ardene, Old Navy, American Eagle Outfitters, Moxie’s Grill & Bar, Jamie’s Italian, Chapters and Dollarama. 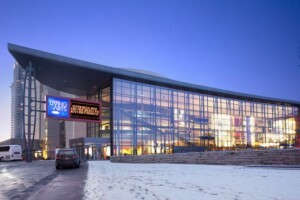 The Living Arts Centre is a cultural hub within the City of Mississauga. It has opened the doors to approximately 5,000,000 visits since it’s completion in 1997. People come to the Centre for community events, corporate meetings, to view performances and to participate in visual arts programs. The arts complex is modern in design, featuring lots of glass, natural light along with exposed concrete, wood and steel. Zeidler Partnership Architects from Toronto was the architectural firm behind the Living Arts Centre and PCL Constructors Canada was the construction contractor. 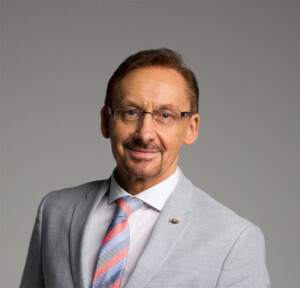 The multi-use facility consists of 225,000 square feet, 1 restaurant, 7 art and craft studios, 3 theatres seating a total of 1842 guests and other banquet rooms, meeting rooms and offices. There’s always something going on at the LAC, so visit their website and stop by to experience it for yourself. 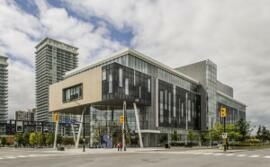 This state of the art campus coined after the long-serving mayor of Mississauga, Hazel McCallion, opened in late 2011. Expansions and upgrades are continuously progressing with most slated to complete in late 2016. Sheridan’s newest campus is home to the Pilon School of Business with the newest facilities featuring a students art gallery, modern classrooms, technology computer labs and the Centre for Creative Thinking. Learn more about the campus and programs on the Sheridan College website. There are many schools in and around the City Centre School Boundary. 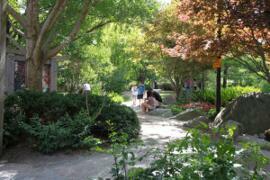 Mississauga is known for preserving ample green spaces within their communities. Here are some parks and trails around City Centre, that you can consider for your next walk, run, bike or picnic.